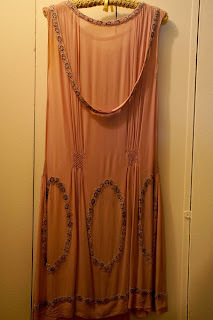 Today I am posting 1920s dress from my private collection. A great representative of American jazz culture, this powdery fushia dress was discovered in New York about ten years ago. A wonderful beaded strap hangs decoratively down the back, while tying nicely in front. The fabric is strong, no tears, no stains or weakening. There is some faint yellowing on arm opening hem, and a tiny period repair-restitching there (see photo # 8 ). All unseen when the dress is worn. On this enlarged photo (#8) you may see hand stitching in the hem. 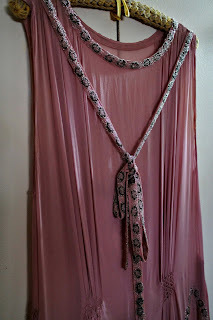 I found one tiny pin hole near the neckline and three near the arm hem--so small, they do not show on photos. Those imperfections are minor, not seen when the dress is worn and, in my opinion, absolutely ignorable. 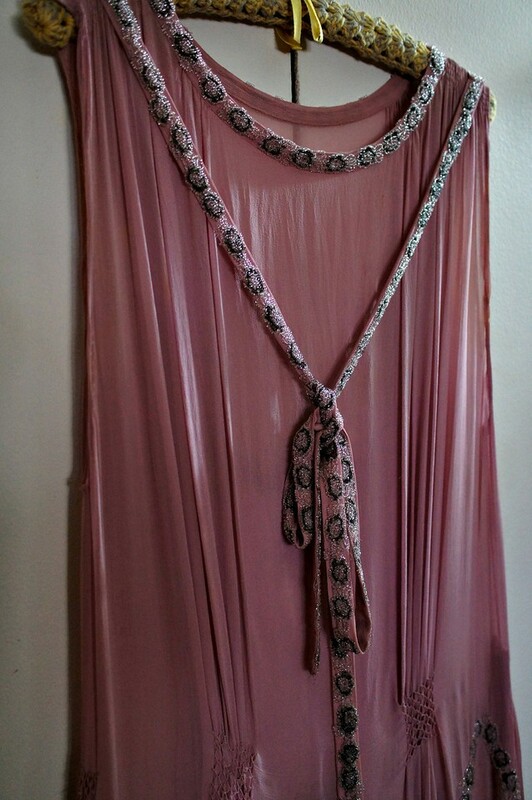 The fabric is a bit sheer. 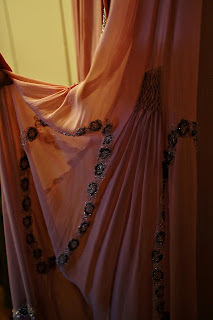 In the photos what seem to be some darker areas of the silk are just a shadow of the beading from the opposite side. 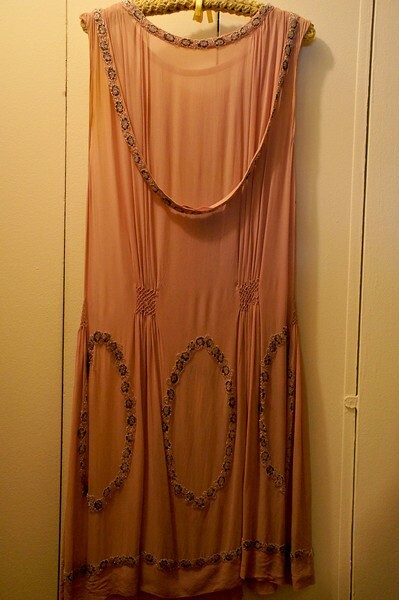 The last photo shows a similar dress from the collection of rare pieces in the Metropolitan Museum of New York Design Institute. For best descriptive detail, please, enlarge the photos. I will combine shipping if more than one item is purchased. In general there are no returns on my items. However, nothing is written in stone. I want you to be happy with your purchase. Otherwise please contact me within 3 days. So please read description carefully, enlarge all photos so you can see areas of your concern, and ask any questions you wish. Please be aware that some countries impose customs fees, excise taxes and other additional charges. Please contact your own postal service to ascertain whether such fees apply. I do not know, nor am I responsible for customs and other fees imposed by local postal services. For items over $100, insurance is free and paid for by myself.